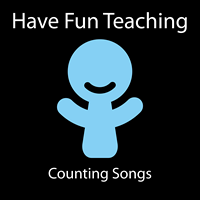 The Counting By Nines Song on Have Fun Teaching is a huge hit with kids. Teachers, parents and kids love this songs for learning how to skip count by nines. The beat and music of this counting song makes you feel like you're listening to a song on the radio. Have Fun Teaching is stepping away from the classic cheesy songs for kids and giving the teachers and kids something new and fresh that will have your kids singing, dancing and learning!